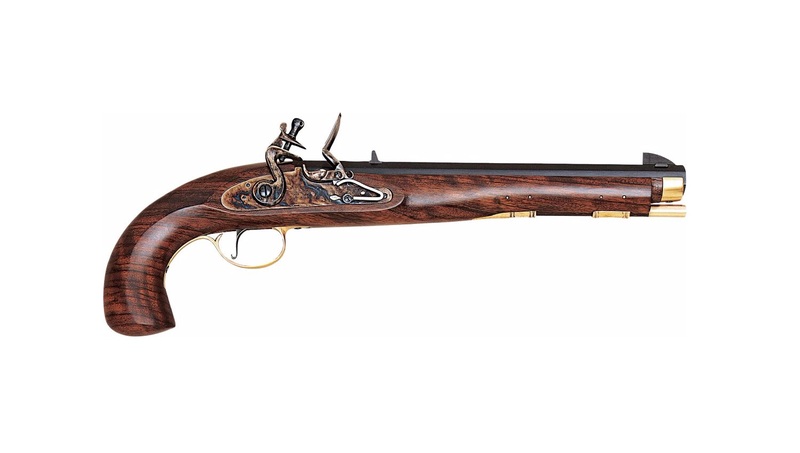 With a perfect grip and accuracy of firing, this pistol was the classical American pistol during the war of Independence and of the western pioneers. 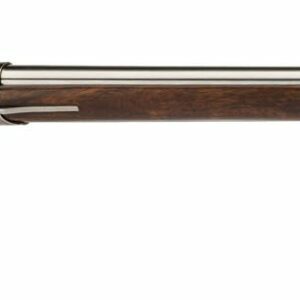 The octagonal rifled barrel is of blue finished steel and the stock is made from walnut. 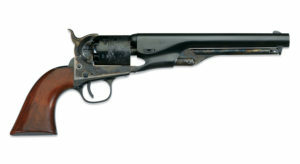 Total length 390 mm, barrel length 10 3/8 inches. Rifle twist 1:18, caliber 0.45.